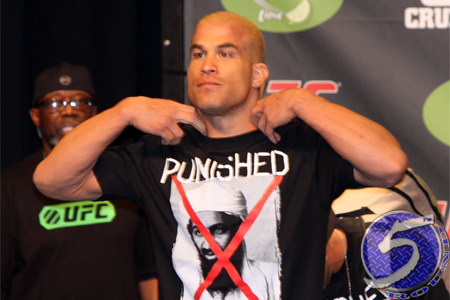 It’s time for Tito Ortiz (pictured) and Stephan Bonnar to finally settle their beef tonight at Bellator 131. Despite the help of Justin McCully and his ridiculous mask(s), Bonnar is still an underdog against his archenemy – albeit a slight one. Ortiz is pegged as a -160 odds-on favorite to beat Bonnar, while “The American Psycho” checks in closely behind as a +130 dark horse.